After being caught in Somalia's horrific civil war, Zamzam escapes with her mother, sister, and brothers to America. But when she arrives, she learns that she has to deal with biases and stereotyping she isn't prepared to handle. Zamzam dreams of making a difference in this world, and she wants to be seen as a person who has value. Through My Eyes is a story of compassion, empathy, and the importance of eliminating stereotypes to promote social justice. 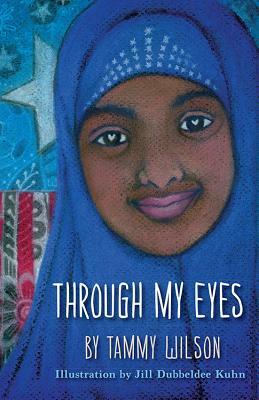 Join eleven-year-old Zamzam as she navigates her way through her new country while embracing her Somali values.